Minimum of 25 persons to run the tour. Non-Refundable Deposit: USD 200 per person upon reservation. If the group falls below 25 passengers, Sharp Travel Service has the right to cancel or reschedule the tour, otherwise new rates will apply. Other conditions: All tours and arrangements are subject to the general conditions specified by the contractor. Tours itineraries and prices are subject to change without prior notice. The tour participants acknowledge that when booking and paying for the product, they agree and are bound to the tour conditions. Upon arrival at Gimhae International Airport, meet and greet then take dinner in a local restaurant. Transfer to hotel and check-in. Overnight at hotel in Busan. Breakfast at hotel. Visit Busan Tower Observatory and Busan International Film Festival Square at Yongdusan Park. Proceed to Kukje International Market, Gamcheon Cultural Village and Songdo Beach. See a panoramic view of Busan at Mt. Hwangryeong. Overnight at hotel. After breakfast, check-out at hotel. 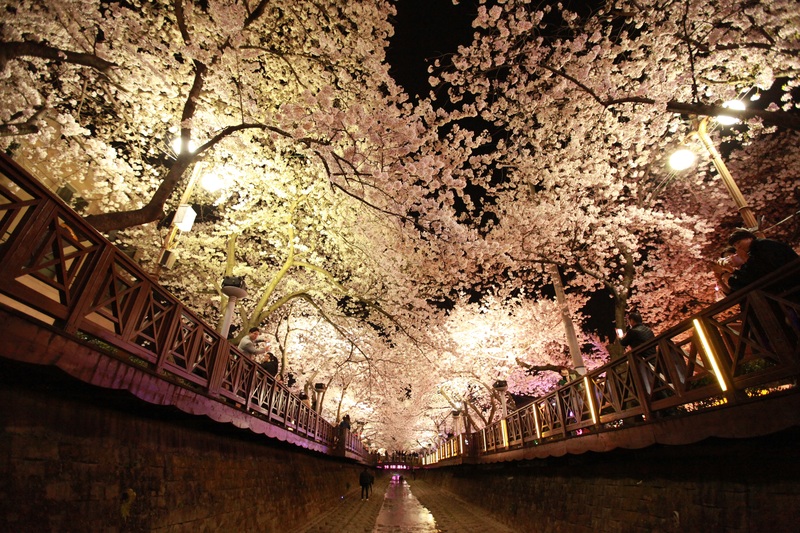 Enjoy at Jinhae Cherry Blossom Festival. Afterwards, transfer to Seoul through KTX for your overnight stay. Breakfast at hotel. Explore Seoul by visiting Gyeongbok Palace, National Folklore Museum. Pass by the Presidential Blue House then hop around Myeongdong Shopping Street, Amethyst Showcase and Ginseng Outlet. Visit Mt. 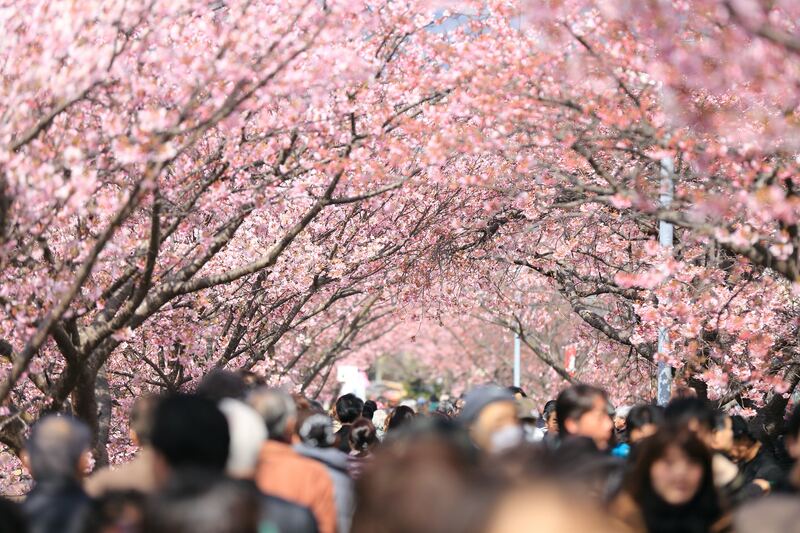 Namsan which offers a great view of the Cherry Blossoms then take a Tubester at Han River and see Banpo Bridge Rainbow Fountain. Overnight at hotel. Breakfast at hotel. Enjoy at Lotte World. 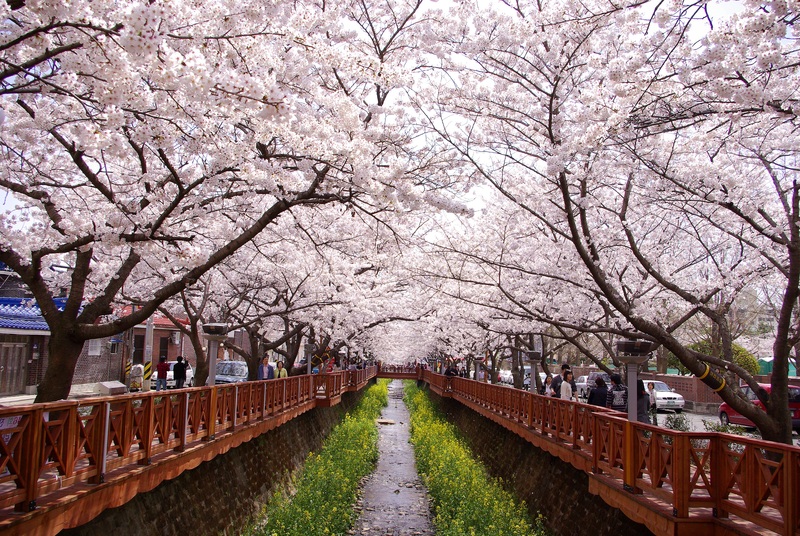 Afterwards, visit Sokchon Lake for a great view of the Cherry Blossom. Have a free time shopping at Lotte World Mall. Overnight at hotel.